Leading Manufacturer of fluoride removal activated alumina from Jamnagar. 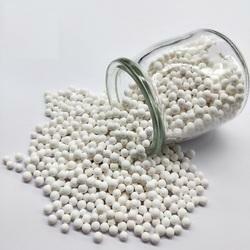 We have captured the market by manufacturing superior grade Fluoride Removal Activated Alumina. The product is resistant to temperature and abrasions. It has been made from pure alumina sourced from a reliable vendor base as we believe in catering the high-grade product to our customers. The product is effective in removing fluoride from stored samples and acts as a desiccant. Looking for Fluoride Removal Activated Alumina ?